Is Site Speed Still Important Today? Website load speed used to be an integral part of the traffic strategy. It was considered a SEO plus point to have a site that loads faster, and much of the web and mobile development in the past couple years has been focused around speed. However, much has changed in SEO, and the focus now is on content and usability. But can great usability and great site speed coexist? What if we sacrifice site load speed for more features that help users? This is a real dilemma that many webmasters face today. Our WordPress readers will know all too well how painful it is to have to say no to a great plugin, only because it negatively impacts the site load speed. If only there was a threshold - a certain point between the two boundaries where there lies a reasonable compromise between features and speed. Today, we'll attempt to find that point. Yeah yeah I know that you know how Google gives importance to load speed. This is why Google has its own PageSpeed tool to help webmasters improve page load times. But exactly how important is load speed? A survey some while ago found out that web surfers wanted more than 10 results for Google searches. They found 30 to be a reasonable number, and went with it on a trial basis, only to find out that traffic dropped by 20 percent on the pages that featured 30 results. Yet, the download speed difference between the pages with 10 and 30 results was only half a second – what an impact! Page Speed, however, is only one of the 200+ signals Google (supposedly) uses to determine rank, and page speed has only ever effected about 1% of search queries. So while it’s just one of many factors in determining your site’s ranking, it’s certainly shouldn't be ignored, especially since mobile sites can be penalized for loading slowly. But wait, don't take Google's word for it - they're known for their manipulation techniques! There are other reasons to focus on speed. If only I had a dollar for every time I left a website because it was taking forever to load - well I wouldn't be a millionaire because I tend to stick around - but I definitely would own a decent gaming laptop :). This isn't true of most other searchers, however. According to a study, 51% of online shoppers in the U.S wouldn't complete a purchase if a site is loading slow. Another study showed that the demand for loading speed has increased. For example, in 2010 a page that took six seconds to load witnessed a -40 percent conversion hit. In 2014? That same loading time suffered -50 percent conversion hit. 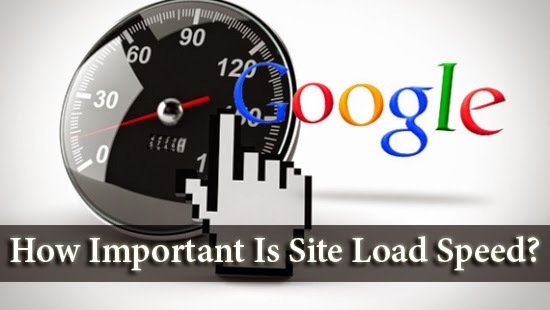 In addition, around 47% of web users expect a website to load in under two seconds, and during peak traffic times, 75 percent consumers are willing to visit competitor sites instead of dealing with a slow loading page. The numbers do not lie! They prove that besides making visitors happy, having a website that loads quickly is good for business. In short, if you want people to hang around your site and make a purchase, it has to load in under two seconds. If not, people have no hesitation in jumping ship to another site.